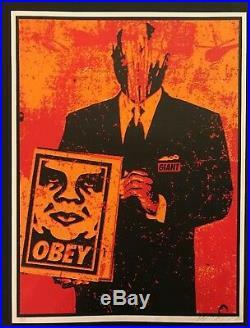 SUIT - Shepard Fairey - 1999. This rare Shepard Fairey print is from 1999 and was part of an edition of 100. 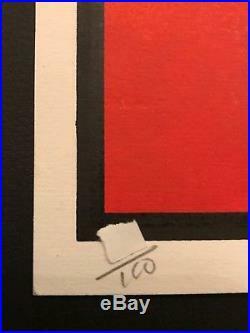 It was hand screen by Shepard himself and he signed and numbered it. 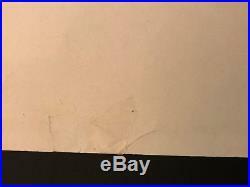 The print is in good condition for its age. 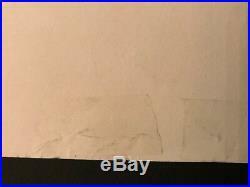 It had small tears in the margins on the right side of the print that were repaired by a paper conservator using archival tape. I included photos of the repairs from the front and the back. The print in the photographs is the one you will receive. This image came from a photograph I took in San Francisco. 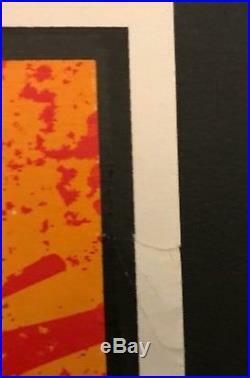 There was a paste-up of a guy in a suit holding a sign, and I pasted one of my 11 x 17 Obey posters over the sign. Someone had already scratched the head of the businessman, which was interesting because I noticed a lot of the Obey images I put up would be scratched immediately. 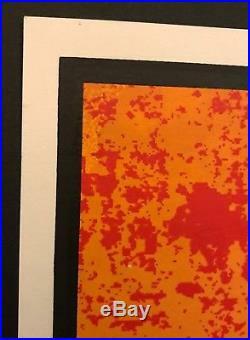 I guess people dont like to be told to obey, so they react by scratching out the image. In the case of this businessman, someone apparently didnt like whatever he represented so they scratched him out. I thought it was cool to have the two images combined, since theres clearly a face associated with Obey but no one sees the face that propagates it. 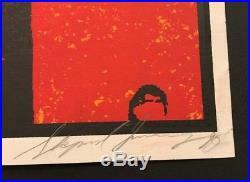 The item "SUIT Shepard Fairey Signed/Numbered VERY RARE First Edition -1999" is in sale since Friday, November 30, 2018. This item is in the category "Art\Art Prints". 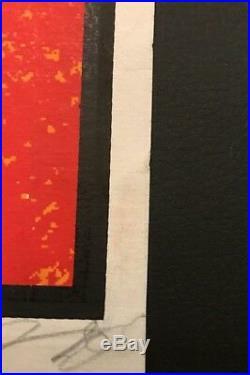 The seller is "jjttdw" and is located in Huntersville, North Carolina. This item can be shipped to United States, Canada, United Kingdom, Denmark, Romania, Slovakia, Bulgaria, Czech republic, Finland, Hungary, Latvia, Lithuania, Malta, Estonia, Australia, Greece, Portugal, Cyprus, Slovenia, Japan, Sweden, South Korea, Indonesia, Taiwan, South africa, Thailand, Belgium, France, Hong Kong, Ireland, Netherlands, Poland, Spain, Italy, Germany, Austria, Bahamas, Israel, Mexico, New Zealand, Singapore, Norway, Saudi arabia, Ukraine, United arab emirates, Qatar, Kuwait, Bahrain, Croatia, Malaysia, Colombia, Panama, Jamaica, Barbados, Bangladesh, Bermuda, Brunei darussalam, Bolivia, Ecuador, Egypt, French guiana, Guernsey, Gibraltar, Guadeloupe, Iceland, Jersey, Jordan, Cambodia, Cayman islands, Liechtenstein, Sri lanka, Luxembourg, Monaco, Macao, Martinique, Maldives, Nicaragua, Oman, Peru, Pakistan, Paraguay, Reunion, Viet nam, Uruguay.